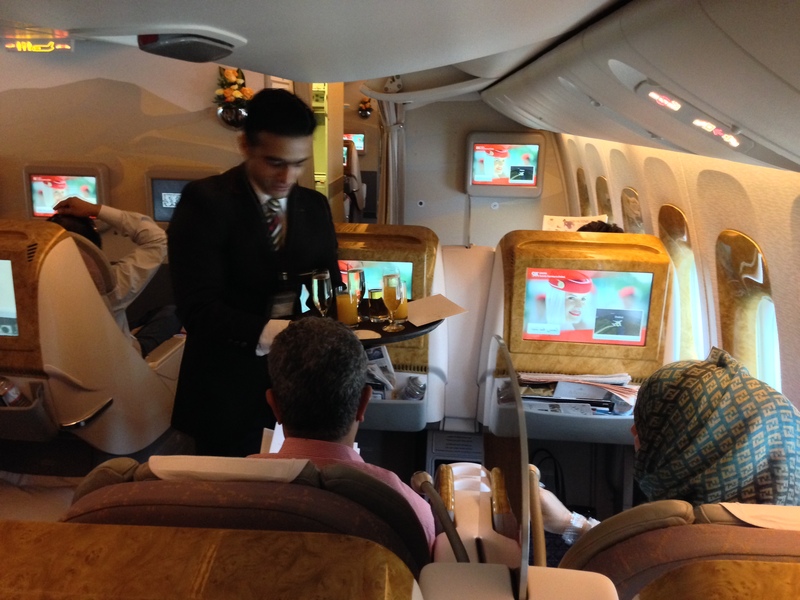 Just when you think a first class seat is as good as it can get, Emirates First Class delivers the unimaginable. I fly economy. If you do too, does the following sound familiar? When boarding a flight, you walk down the aisle, and watch the first class and business class passengers getting settled in their comfortable seats, and the flight attendants catering to their every whim. And then continue down the aisle to economy class where everything seems to get narrower, tighter, and smaller. 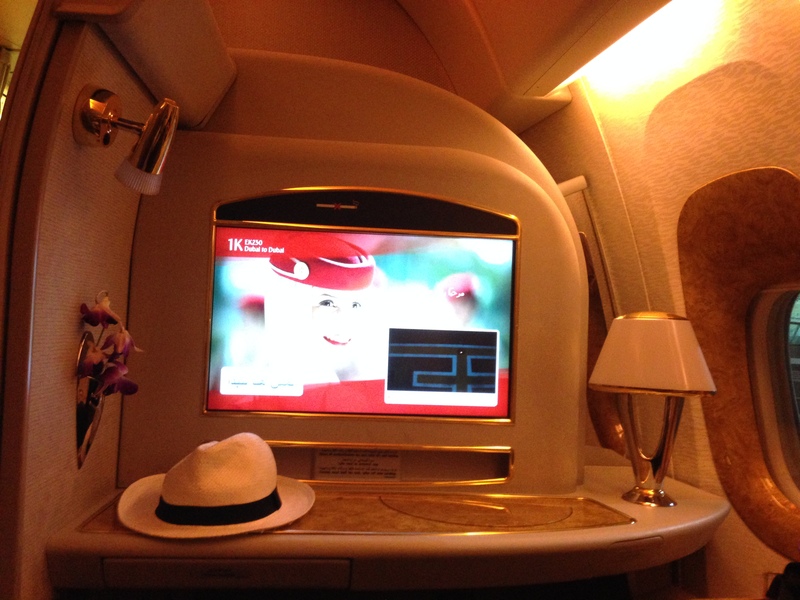 On a recent Emirates ~13 1/2 hr. 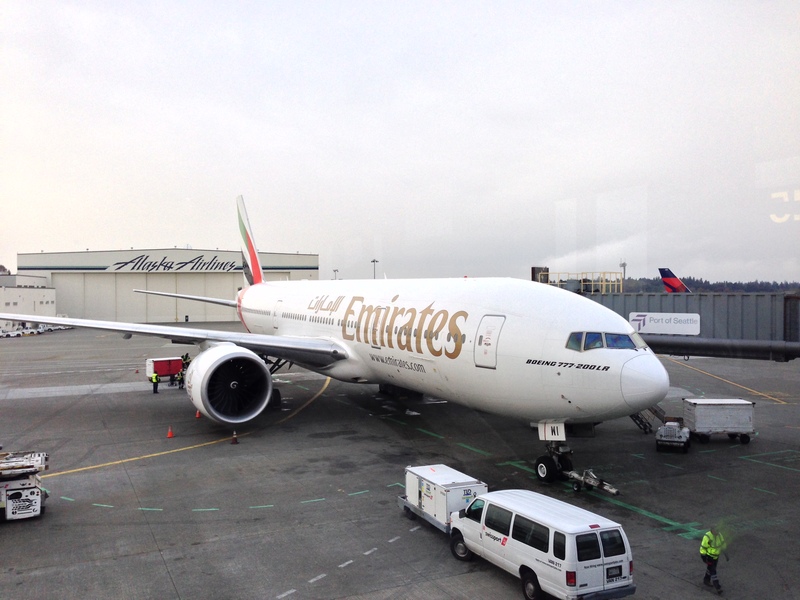 direct flight from Seattle to Dubai, I saw something never seen before on any other flight – a First Class Suite! On assignment, I was headed to Dubai to write an article series on the United Arab Emirates, and was curious about this Emirates “Suite”. When a flight attendant heard about this assignment, she gave a tour of a First Class Suite and even let me fly in a Suite for an hour. Escorted to a Hotel-like first class Cabin Suite that even had a room #, she noted that the Airbus A380 offers showers and a spa to its 14 first class passengers! HH Ahmed bin Saeed Al-Maktoum, Chairman and Chief Executive of Emirates Airline & Group is an aviation visionary and believes the Airbus 380 is “the aircraft for the next chapter of aviation.” We were on a Boeing that didn’t have the showers and spa, but for its 8 first class passengers, there were Suites. Once you arrive to your Suite, you are offered a flute of 2003 Cuvee Dom Perignon with light floral candied fruit notes and darker, spicier, licorice aromas – a mouthful of creamy, silky fruit, hints of praline and honey. Oh, and then there’s the caviar that pairs perfectly with your bubbly – a perfect way to take off! Flight attendants offer white satin amenity cases for women (a brown case for men) complete with Bvlgari set of parfums products exclusively created for men and women. Each suite has doors that you can easily close with your remote, and recline into complete privacy. Fresh orchid arrangements adorn each Cabin Suite. The Suite interior is designed with burl wood finishes throughout, and complete with a desk and a large monitor. Then there is a pop-up vanity mirror, and seat side section with a pop-up mini-bar. There is another fold-out table if you need more dining space, work space, personal drawers, and plenty of storage space. These Suites are more than sweet – they are epic! The experience is like no other in the sky. You feel like you’ve “checked in” to the Presidential Suite at a luxury hotel in the sky. 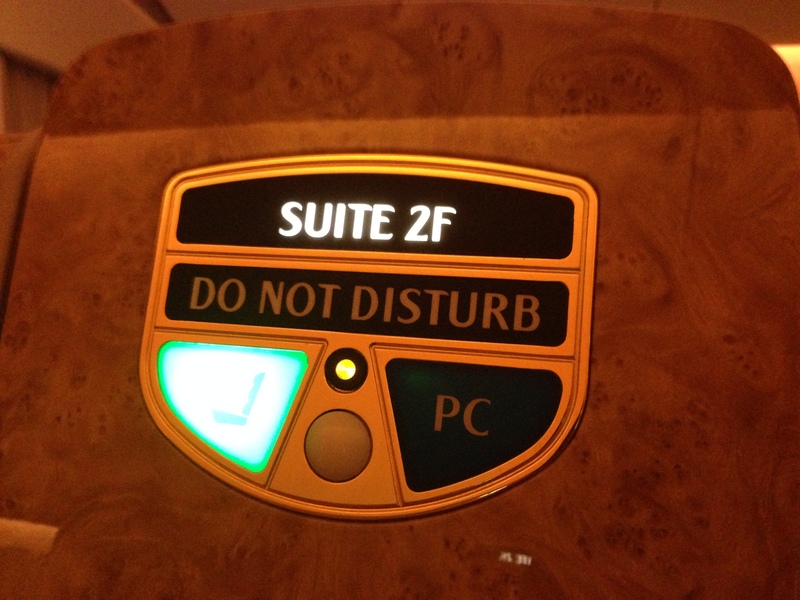 Emirates First Class has it all! Flight attendants are ready to prepare your bed with a mattress, duvet comforter, and Egyptian fine thread linens. Before retiring, you’ll receive a take-home pair of Emirates silk-like pajamas designed for ultimate comfort. If you have a baby, there are baby bassinets to place in the Suite’s bassinet area. Lounge Chair Positions? A Massage Too?! Your lounge chair has a one-touch panel where you can select to fully recline into a bed position, and/or have a massage – pulse, wave, zig-zag options where you can choose the intensity and speed for your comfort. Lights can be dimmed, and you have several lighting options – a table lamp, a reading lamp and a seat lamp, as well as privacy lights. There’s “dine-on-demand”, in-cabin dining with white linen service. I sampled the Arabic Mezze platter with taboule, hummus, dolmahs and more, and the Emirates signature Jumeirah mocktail drink with orange juice mixed with carrot juice and lemonade, topped with mint leaves. There are a range of wines to enjoy as well from some of the World’s top vineyards that blend with the Emirates Chef’s creations. 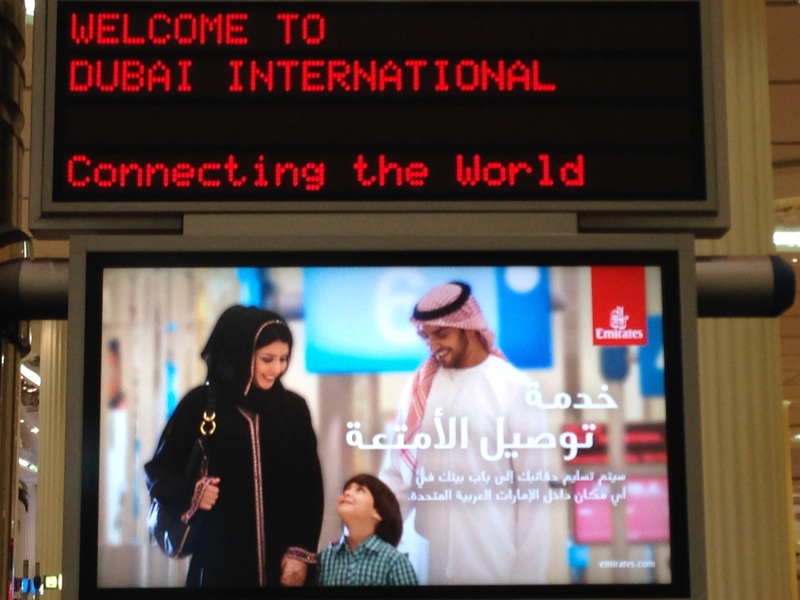 Yes – Emirates has Nespresso? Grand Cru varieties or Dilmah Tea, I sampled the Emirates Signature Tea, the Camellia Sinensis, a tea plant ethically produced in Sri Lanka. The Camellia Sinensis celebrates the fusion of a Ceylon Flowery Broken Orange Pekoe, petals of marigold and safflower, an aroma of rose and a spicy twist with a touch of ginger. The perfect addition to a first class experience! Flying first class means you will receive a Spa Kit that includes Temple Spa products (basically it’s a shower in a tube, soothing balm for aching feet, calming body and face balm, and sniff boxes for “Sleep” (lavender, chamomile, neroli), or “Focus” (bergamot, lemon, cinnamon). Desk drawer with Stationary kit? Each desk is equipped with a take home Emirates logo pen and Emirates embossed stationary. 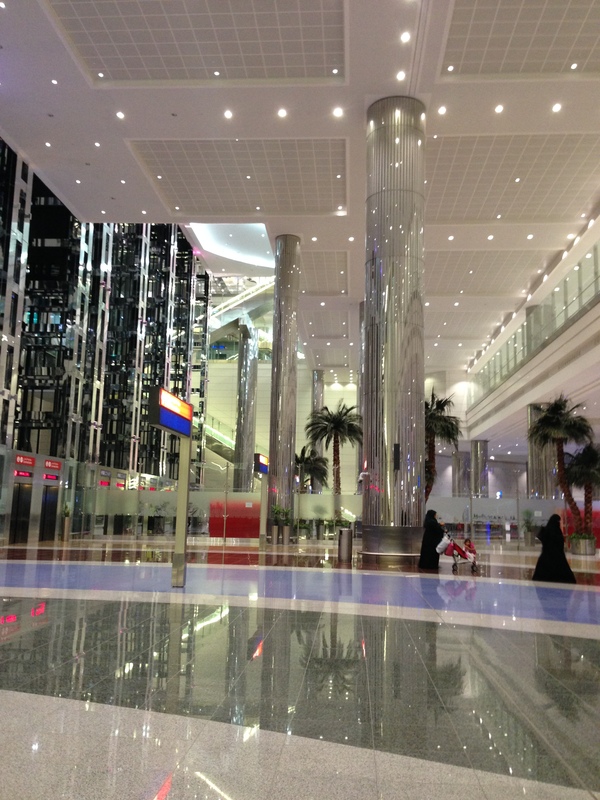 After this intro tour of Emirates First Class Suites, it was hard to return to the economy section. 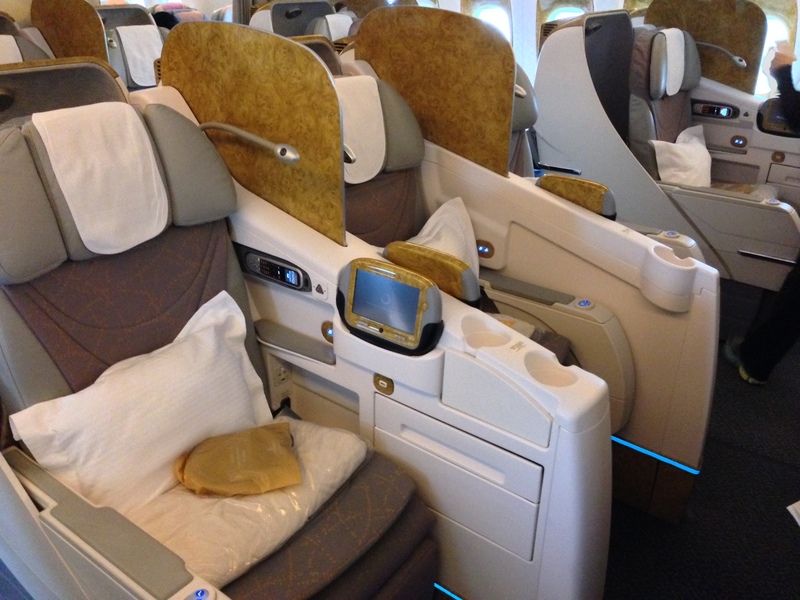 However, if you fly Emirates Business Class, or even flying Emirates Economy Class is pretty comfortable and more than adequate. 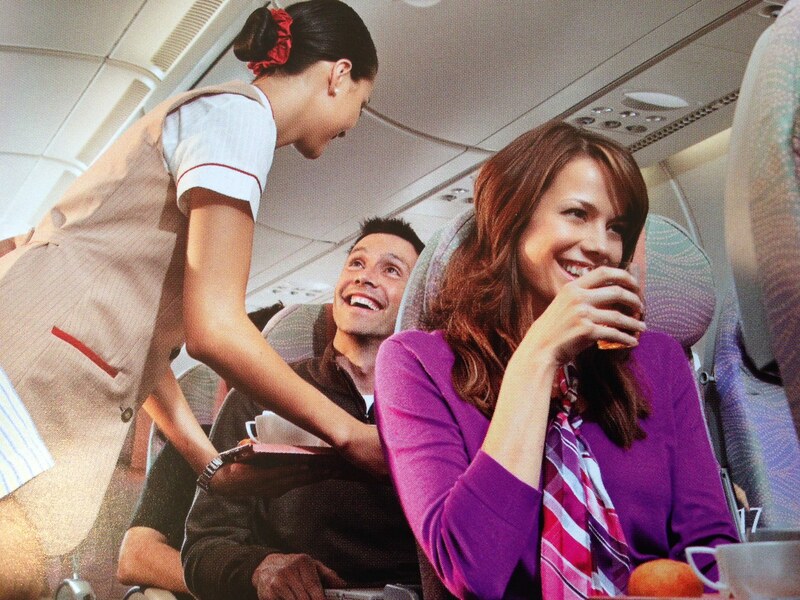 The flight attendants are friendly and provide excellent service. 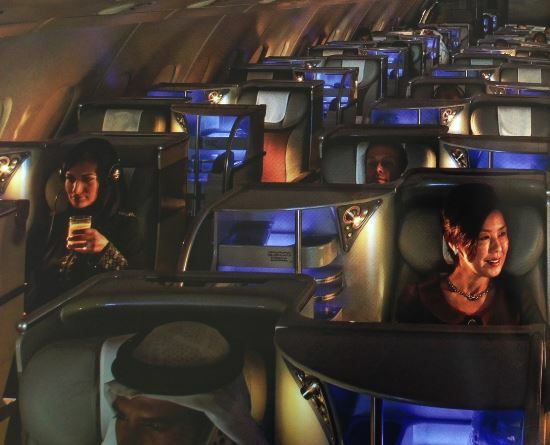 The economy cabin is roomy and there’s more space between seats, with a range of inflight entertainment. There are more cabin crew dedicated to Economy Class and more washrooms for customers than other airlines. The inflight cuisine is delicious with multi-course meals designed by Emirates Master Chefs. Emirates has raised the bar for all airlines with a superior onboard experience – flying economy or flying epic in a Emirates First Class Suite. By Patricia Stone, a travel writer & consultant based “globally”. When in the U.S.A, she resides between Washington and California. 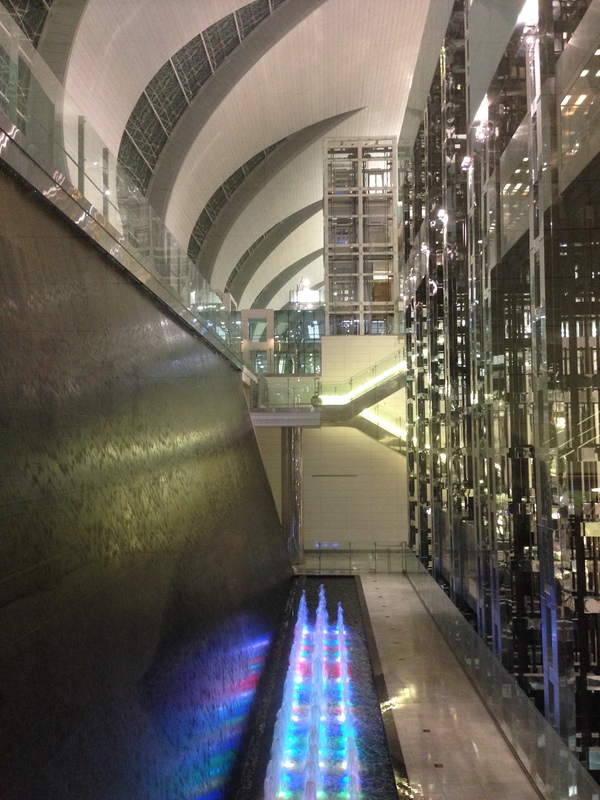 Travel Acknowledgements: A thank you to Emirates for providing this tour. All opinions expressed here are entirely our own. 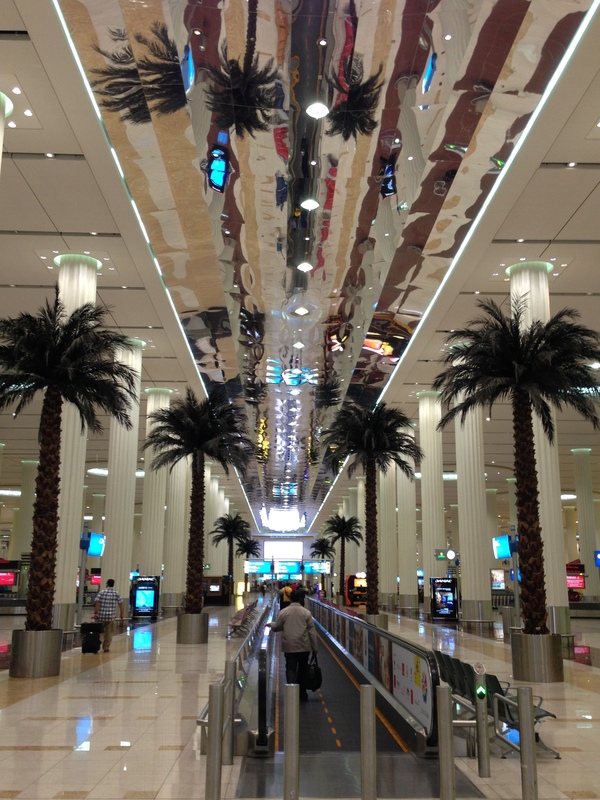 Some of the photos in this article are compliments Emirates Airlines.